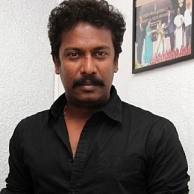 Director Samuthirakani’s Nimirndhu Nil was scheduled to hit the screens today, the 7th of March 2014. But unfortunately the film did not release and financial reasons were cited for this. It was also said that attempts are made at every level for a speedy release of the film. Meanwhile news had spread like wild fire that the director had committed suicide notwithstanding the release delay. Thankfully, it was just a rumor which was obviously spread with malicious intentions. People looking for online information on Jayam Ravi, Nimirndhu Nil, Nimirnthu Nil, Samuthirakani suicide will find this news story useful.